The new cinema will be a prime draw for the exciting mixed-used scheme which is being created on the site of the historic former Northallerton Prison. 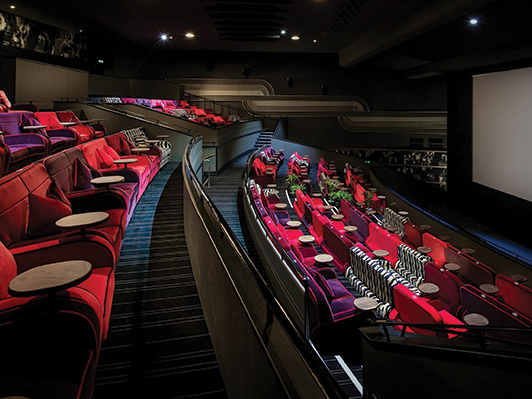 Everyman currently has 26 cinemas across the UK and, with more openings due in 2019, has more than doubled in size within the past four years. The 11,000 sq ft Northallerton cinema will be located above three new restaurant units which adjoin an attractive new public square as the centrepiece of Treadmills. The scheme is being delivered by the Central Northallerton Development Company (CNDC), a joint venture between Hambleton District Council and leading Yorkshire property developer Wykeland Group. The development features retail, residential, leisure and office space as well as the showpiece civic square. It incorporates five Grade II listed former prison buildings which will be restored and brought back to life as part of the scheme. A key element of the project is flexible office space for digital technology companies, specialists and freelancers, to be operated by the Hull-based Centre for Digital Innovation (C4DI).